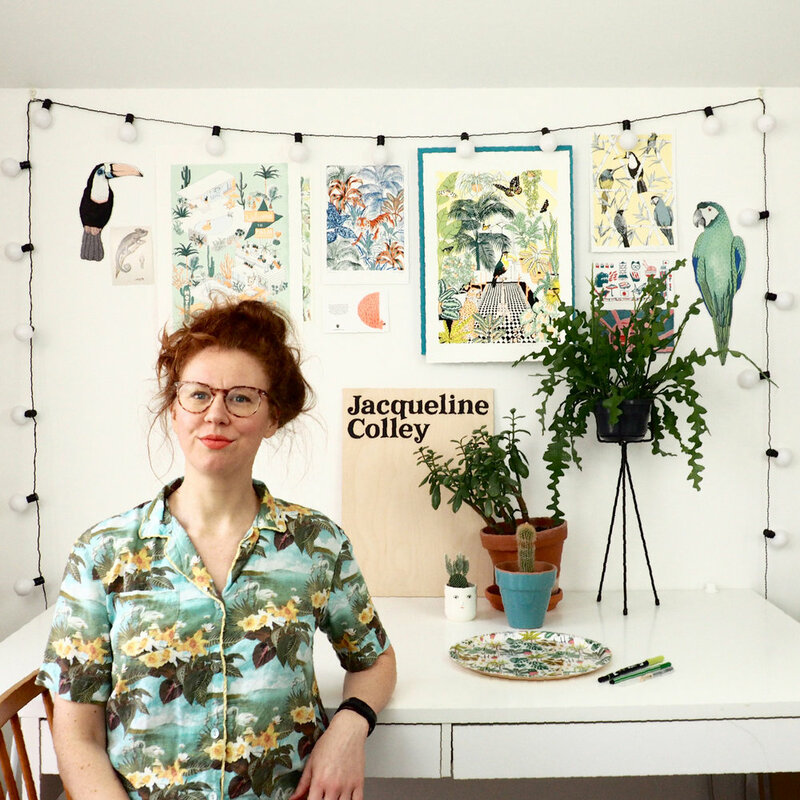 We talk illustration, house plants and scrapbooking with Illustrator and Pattern Designer Jacqueline Colley. Considering a recent illustration project for high street fashion brand Oasis and a Best Illustrator Award from Mollie Makes Magazine, her reluctance to describe herself as an illustrator seems surprising - why the reticence? Her luck changed when a friend, who was on traineeship at H&M, showed Jacqueline’s work to her boss, who loved it and took her on. 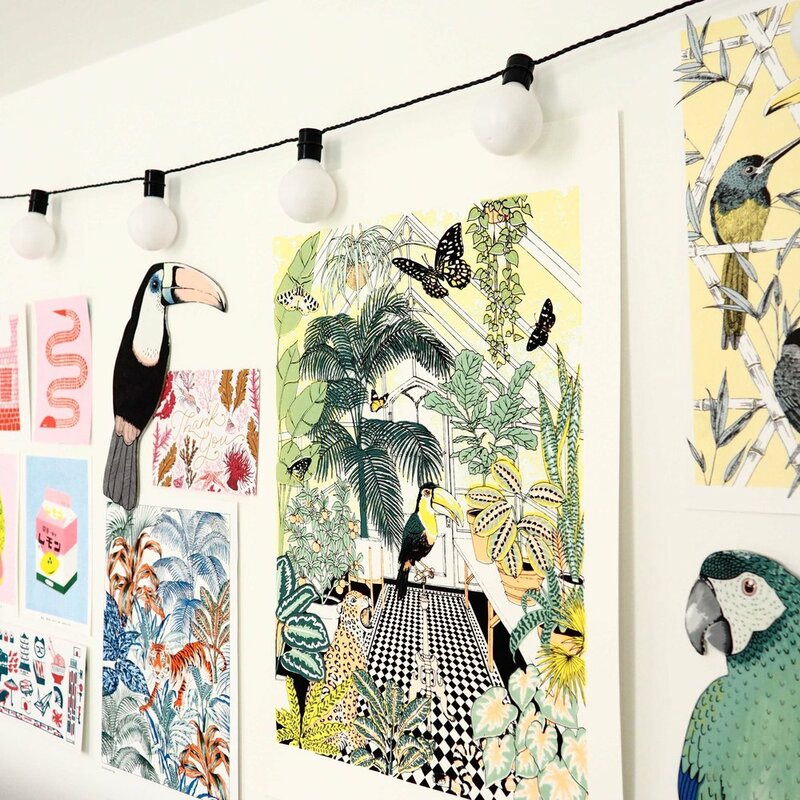 There followed a year and a half working in H&M's textile design department, specialising in textile design for the kids range, working in both London and Stockholm. Time spent at the Design Library helped Jacqueline to begin to shape her own style, which proved to be a ‘massively evolutionary process’. One of those sketches of a cactus and palm leaf became one of her first designs and started a distinctive collection of work, which celebrates botanicals, plants and the natural world. Night Owl or Early Bird? Neither, I love to sleep but if I had to choose early bird! I wish someone had told me… That creative jobs are many and varied, especially in the UK, don't be scared of going to art school!